White-tailed ptarmigan are masters of camouflage, their primary defense against predators. 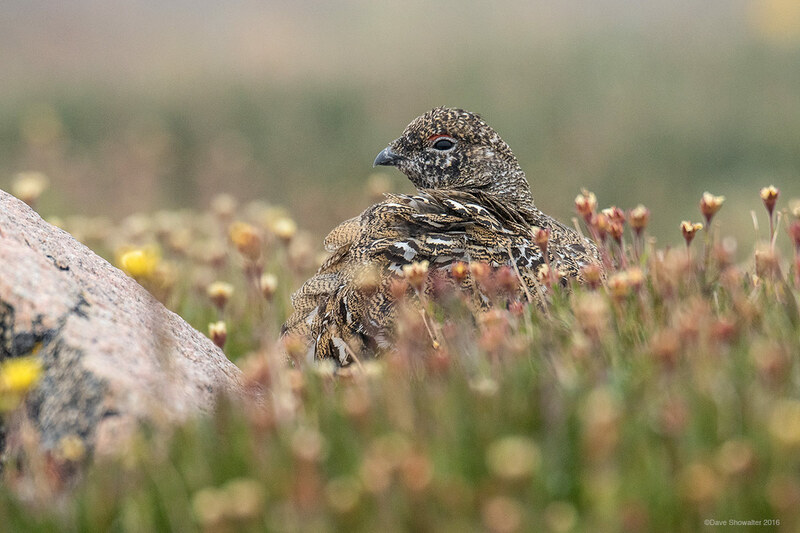 This ptarmigan is nestled into alpine tundra wildflowers around 13,000 feet on Mount Evans. Our smallest member of the grouse family spends their entire lifecycle above timberline, thriving on willow buds through a harsh Rocky Mountain winter. Photo © copyright by Dave Showalter.